First Family Style Dinner Night! Join us for a Family Style Dinner! Perfect Arizona patio weather... delicious beer... originally delightful dishes... Wednesday night's Sierra Nevada Beer Dinner was definitely one to remember. A huge credit to our amazing kitchen staff for being able to juggle the special event and regular restaurant menu. 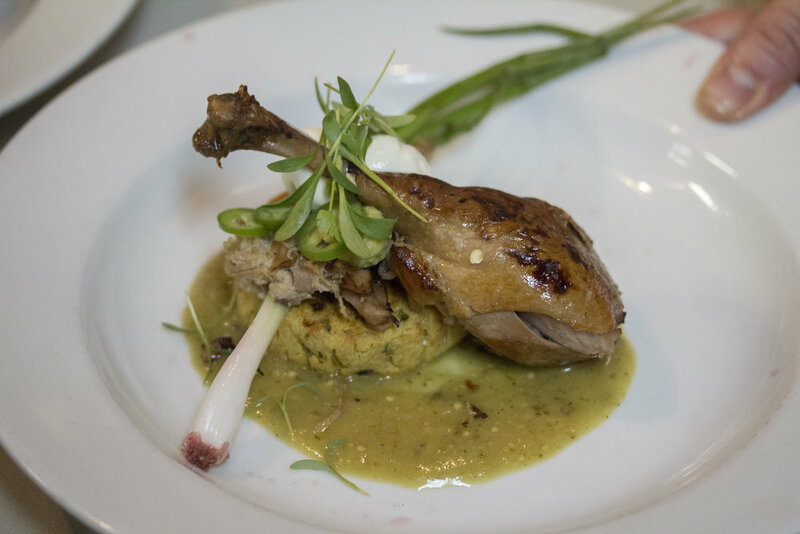 The plating was thoughtfully planned and the timing made for a fluid evening. Without our front of the house team the magic of this evening would have not been possible. From decorating, seating, pouring, serving, waiting, directing and guest interaction- there was no shortage of diligence. Thank you to all guests who attended, these events would not exist without you! We look forward to our next special dinner event and hope you are too! 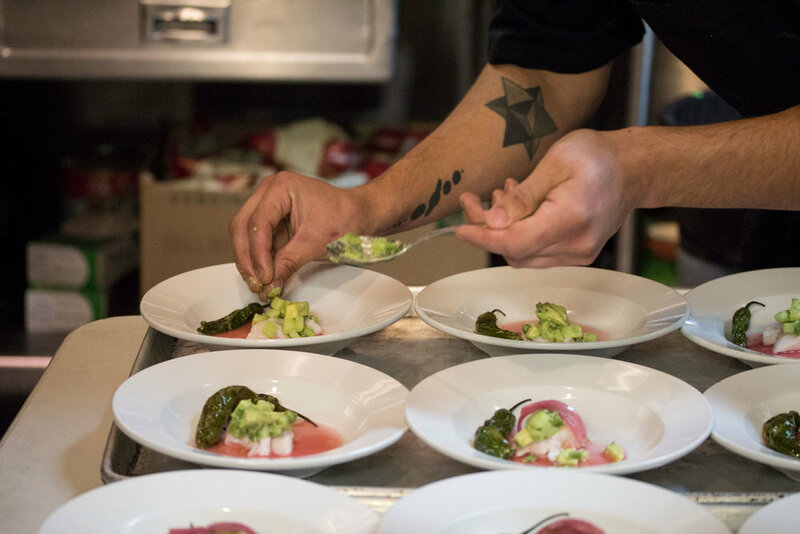 Nopales, Black Cod, Shishito Toreados, Avocado, Pickled Red Onion, Cucumber, Mezcale, Cilantro Oil and Lime. Steamed Bun, Cara-Cara Chili Marmalade, Cilantro, Carrot, Ox Tail, Short Rib, Onion Ribbon, Jus and Salpimienta. Cola Braised Duck, Pickled I'itoi Onions, Masa Pancake, Not Guac, Tomatillo Reduction, Crema, Micro Coriander and Serrano Chili. Dessert: Lemme See Your Churro Roll! Sponge Cake, Ginger Mascarpone with Pear, Churro Dust and Raspberry Coulis. © Nello's Ahwatukee. All rights reserved.